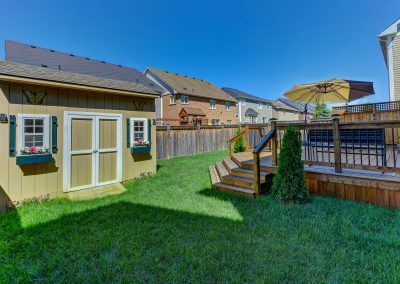 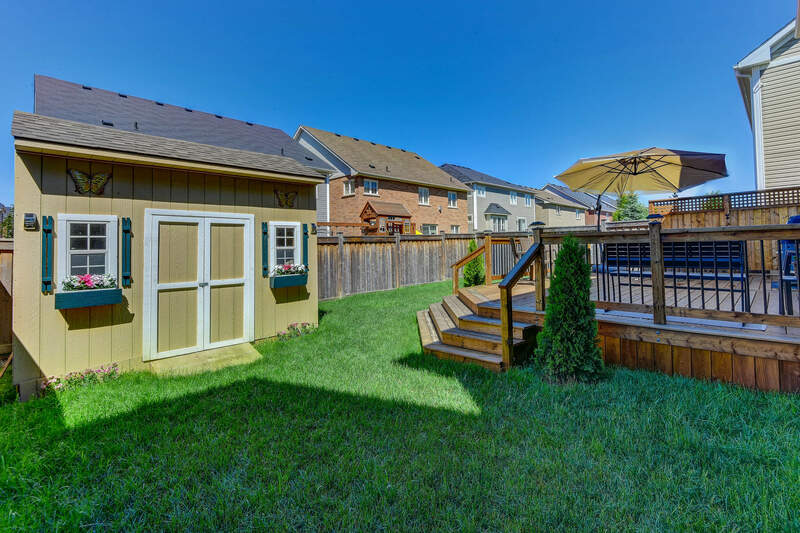 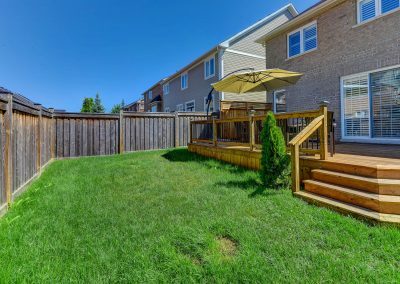 Welcome to this spacious, detached, all brick, sun-filled, home that’s loaded with upgrades. 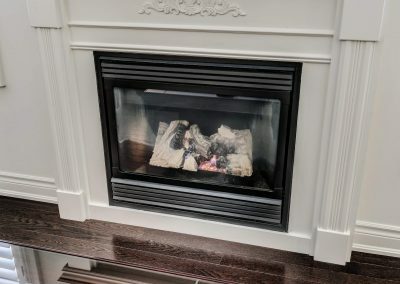 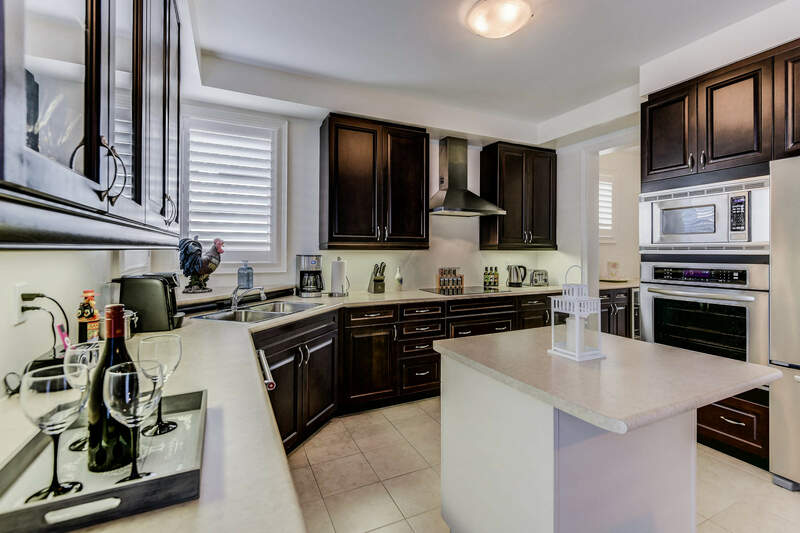 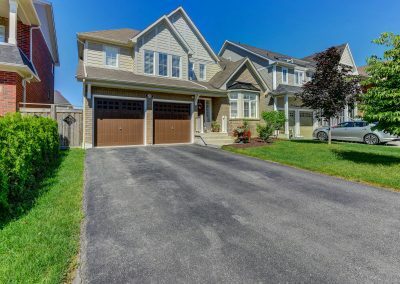 The main floor features an open floorplan with a good-size living and dining room, a large kitchen with lots of cabinets and counter space, an island with a breakfast bar, and a good-size family room with a gas fireplace. 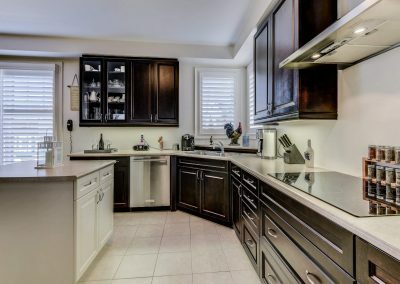 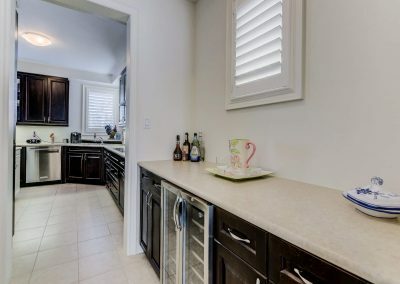 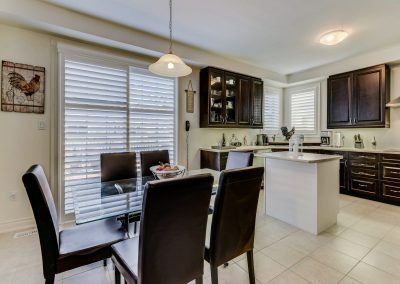 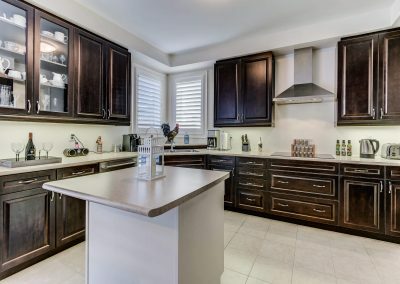 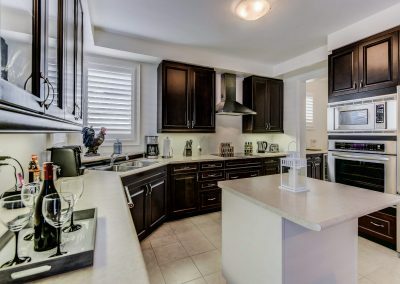 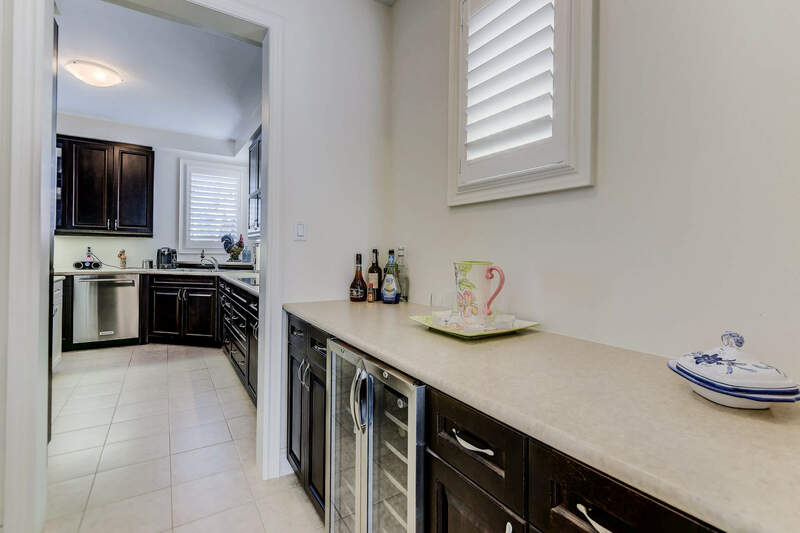 There is a servery between the dining room and the kitchen with a built-in wine cooler that comes in very handy. 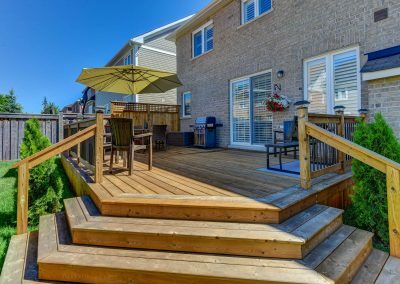 Sliding doors from the breakfast area lead to a huge 24 X 15 foot deck that’s perfect for entertaining. 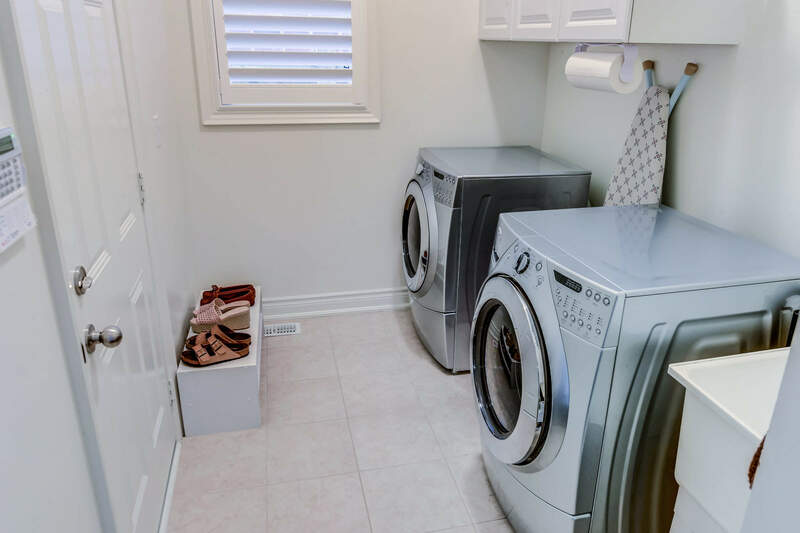 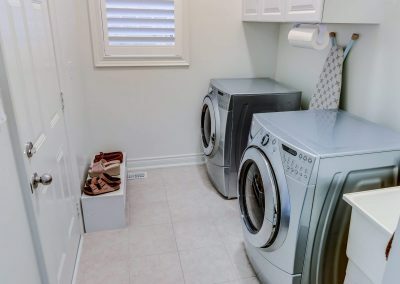 The laundry room has direct access to a two-car garage. 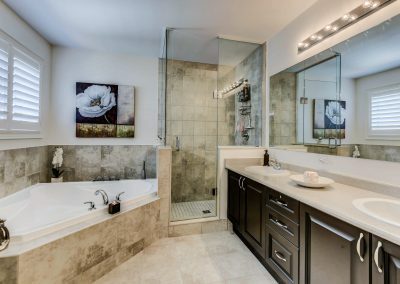 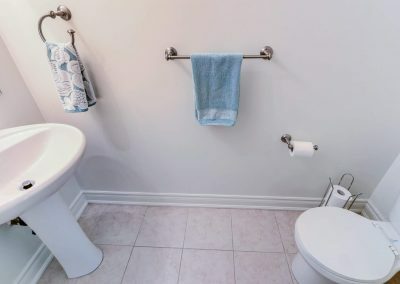 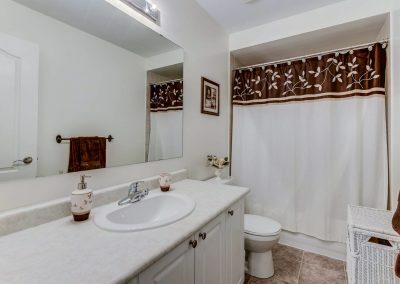 A two-piece bathroom is also found on the main floor. 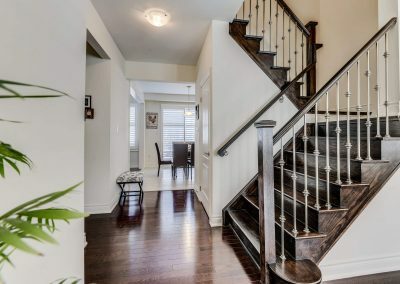 The oak staircase, with its iron pickets, leads to four generous-size bedrooms and two full bathrooms. 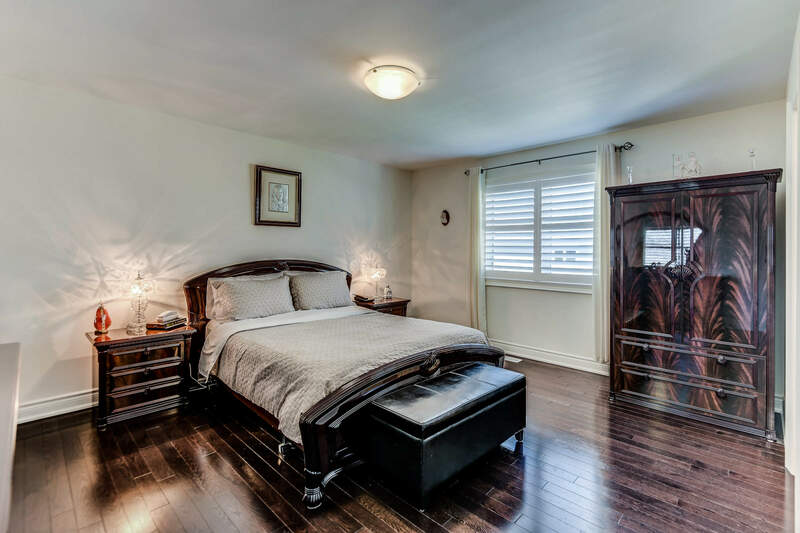 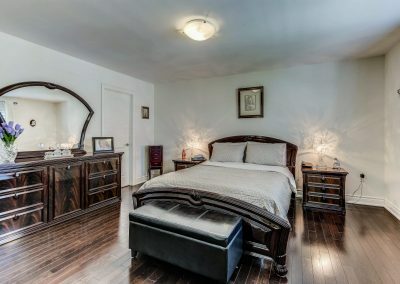 The master bedroom has a full four-piece bathroom and a walk-in closet. 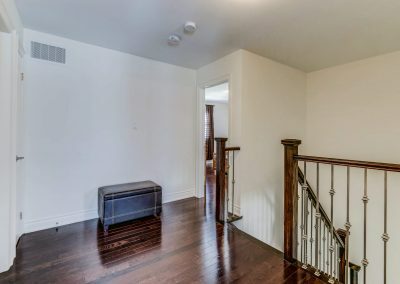 Three of the four bedrooms have walk-in closets. 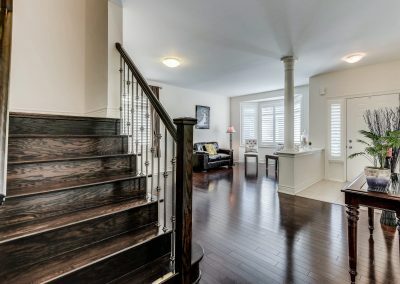 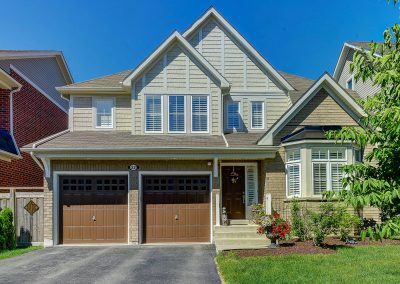 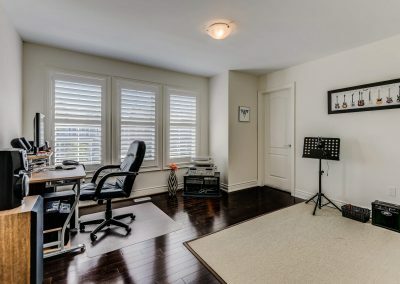 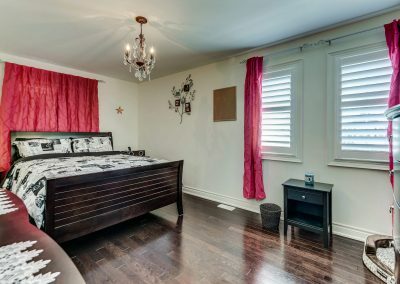 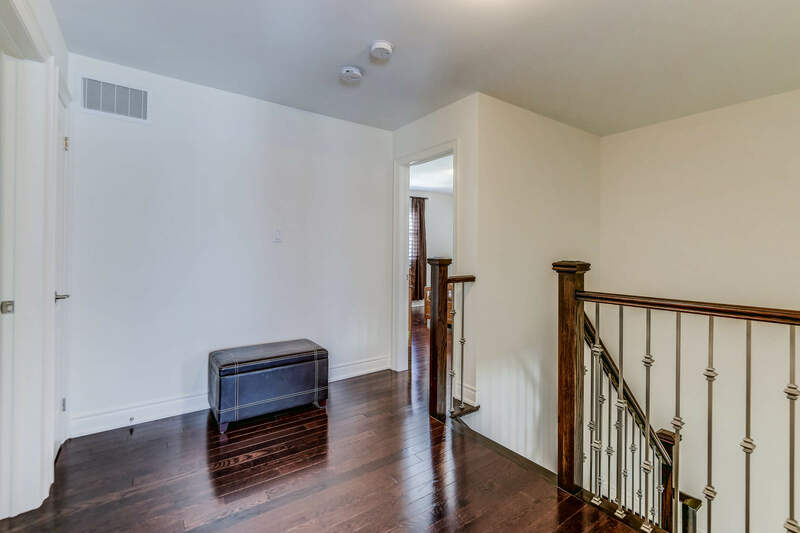 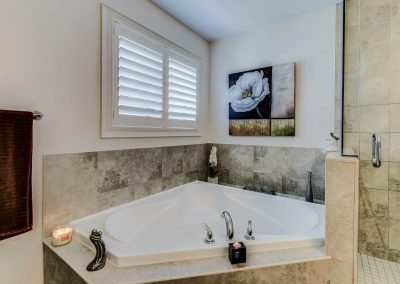 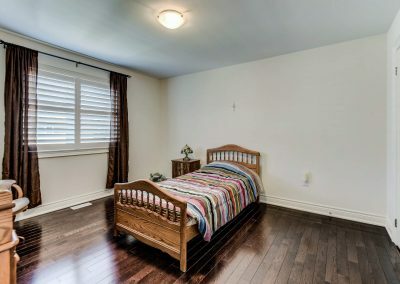 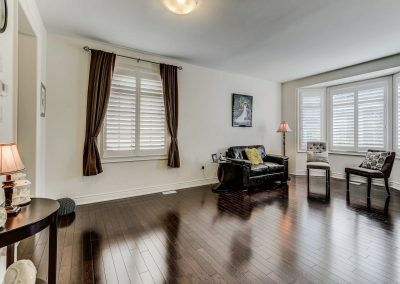 Other features include: 9 foot high ceilings on main floor; hardwood floors throughout; smooth ceilings throughout; extended kitchen cabinets; frame-less shower in master ensuite; cold cellar; rough-in bathroom in basement; 12 X 9 foot garden shed; plus so much more. 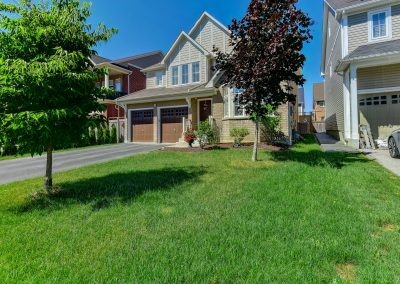 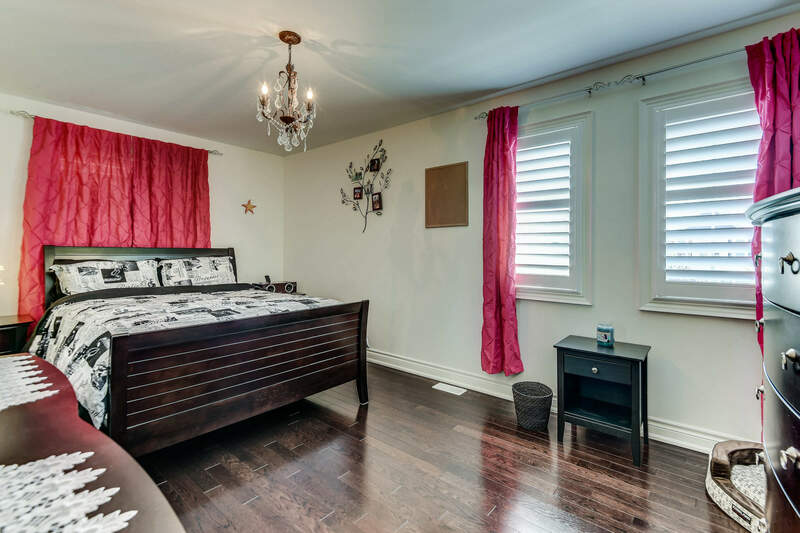 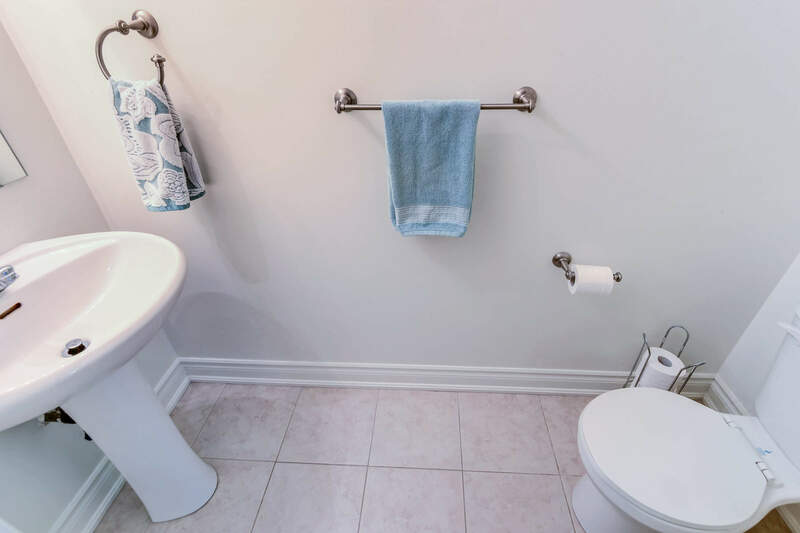 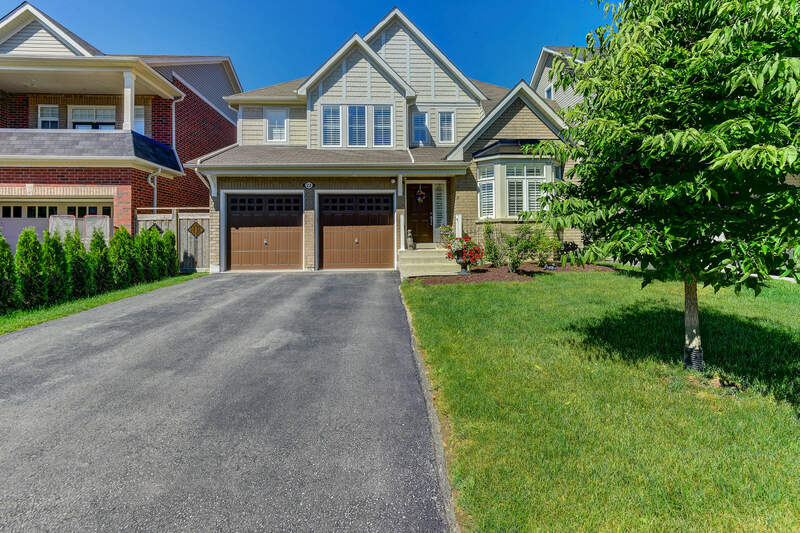 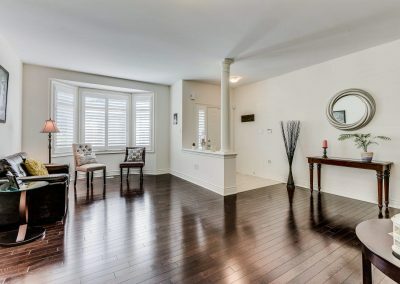 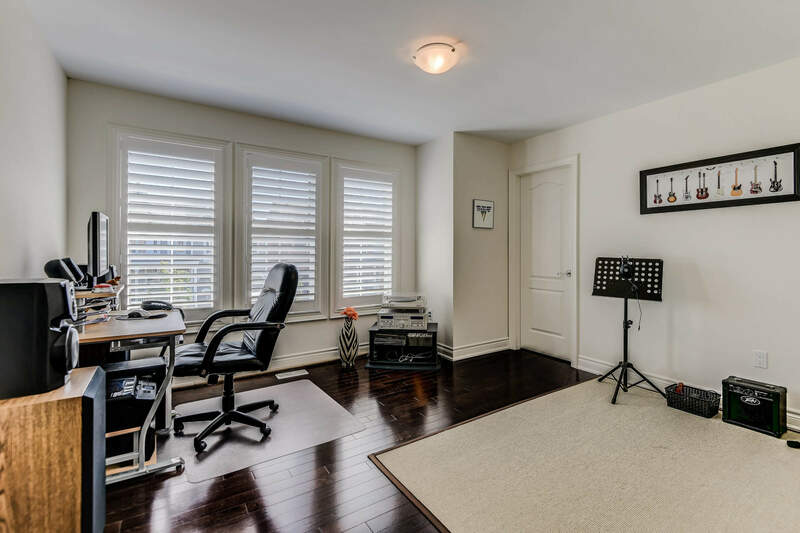 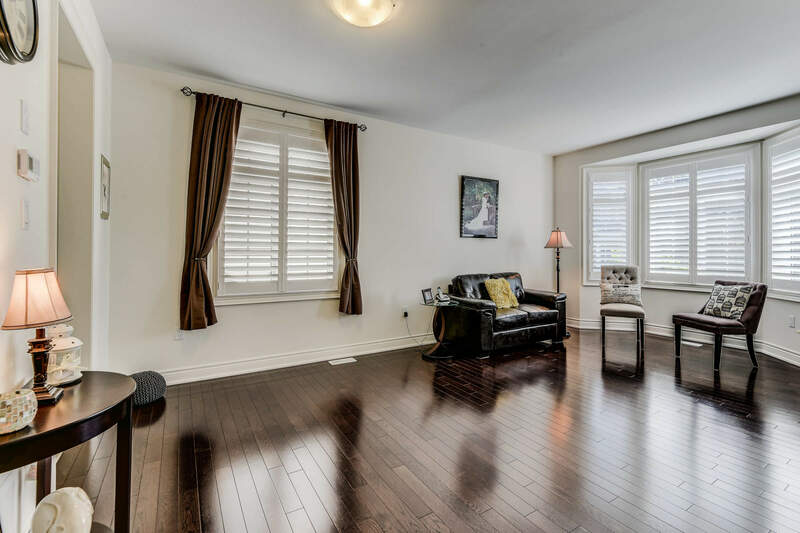 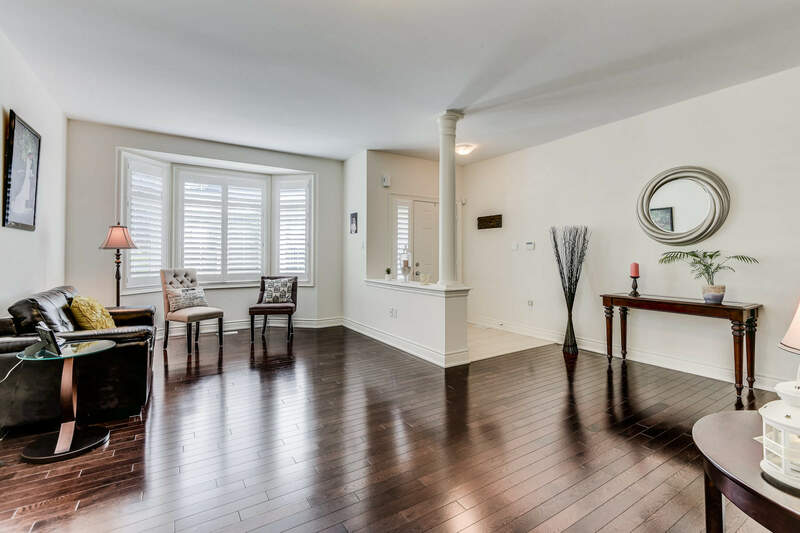 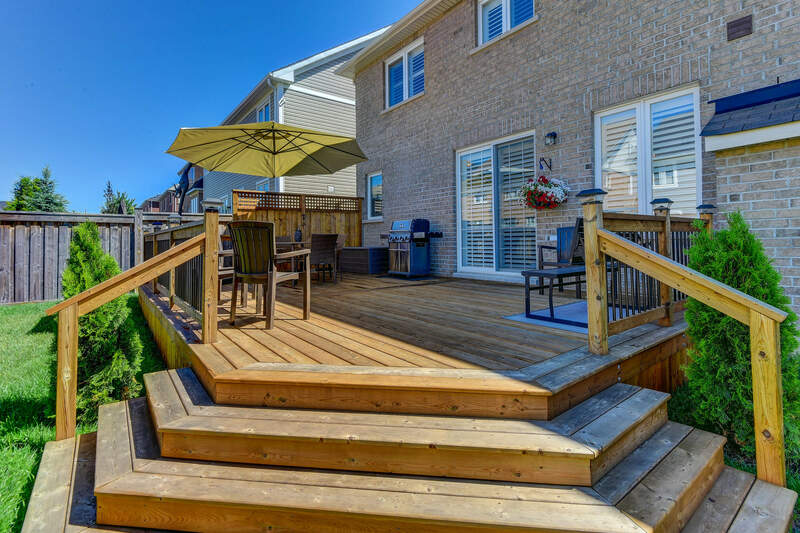 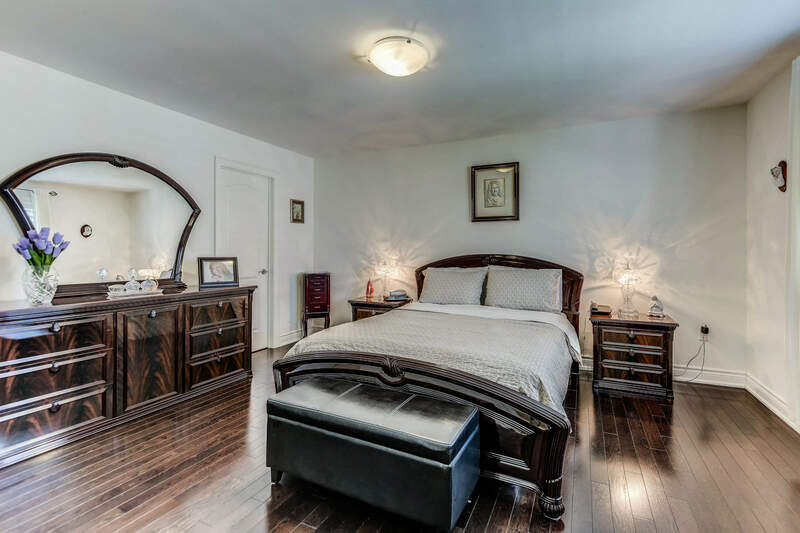 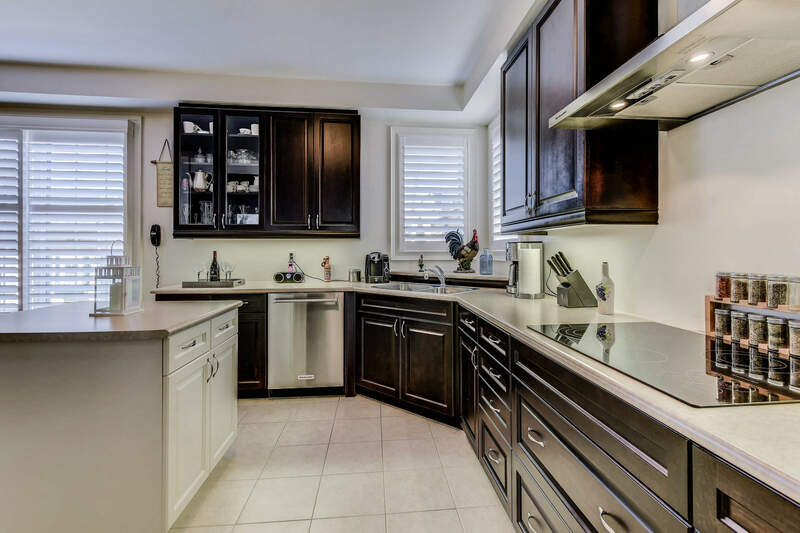 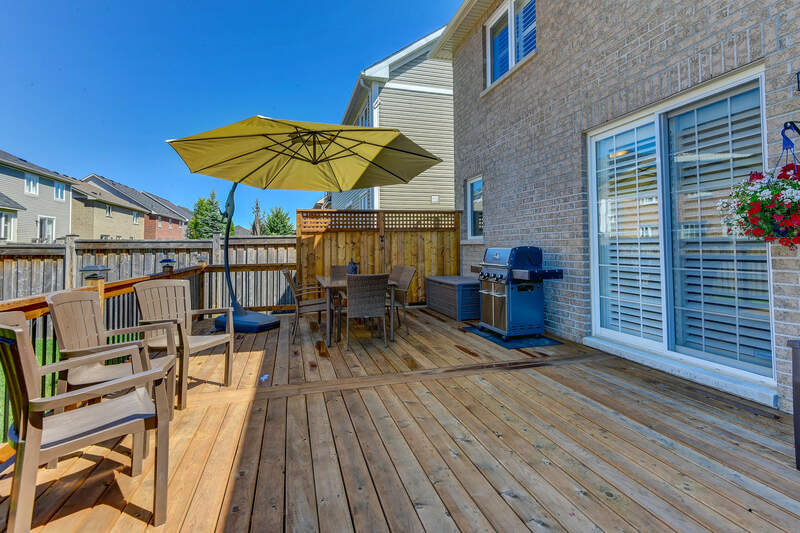 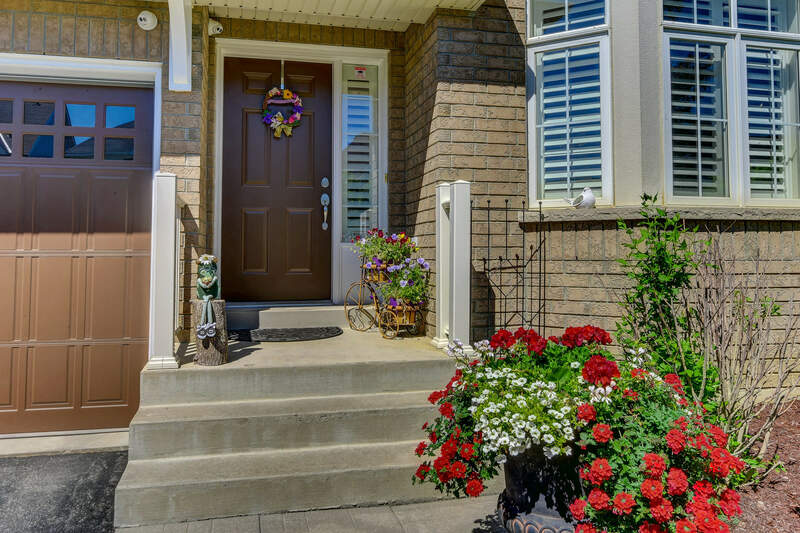 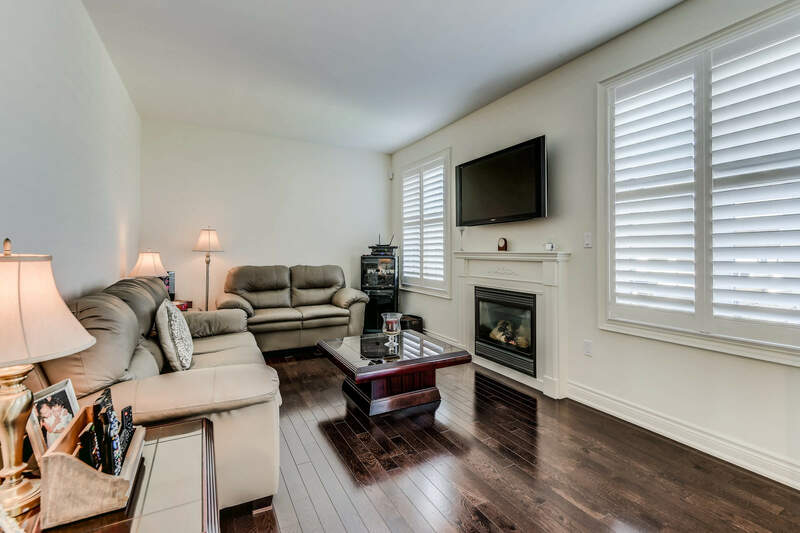 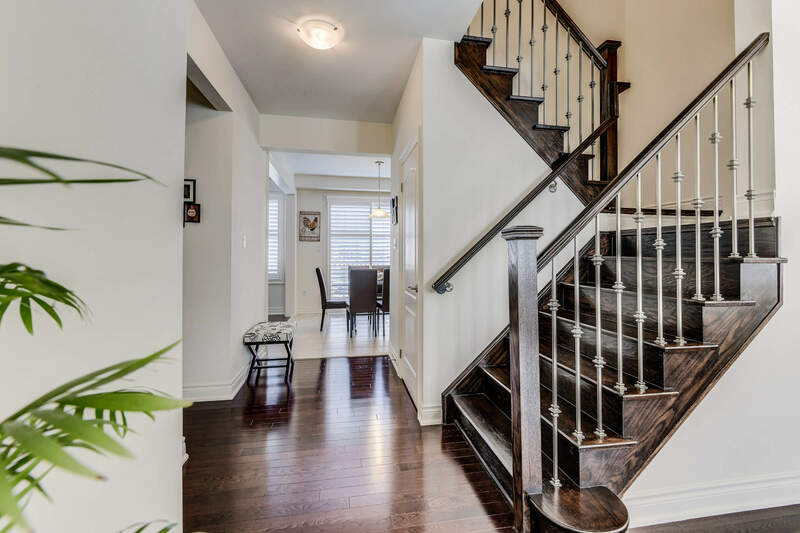 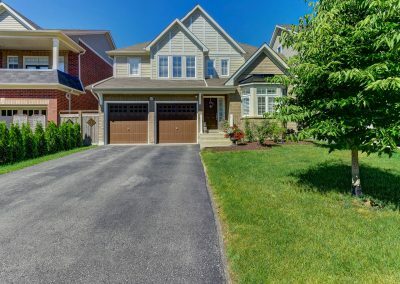 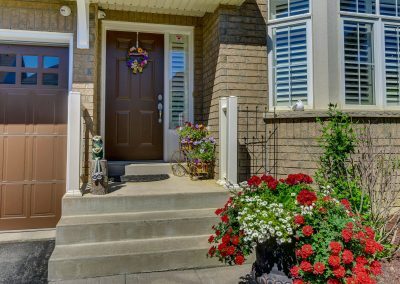 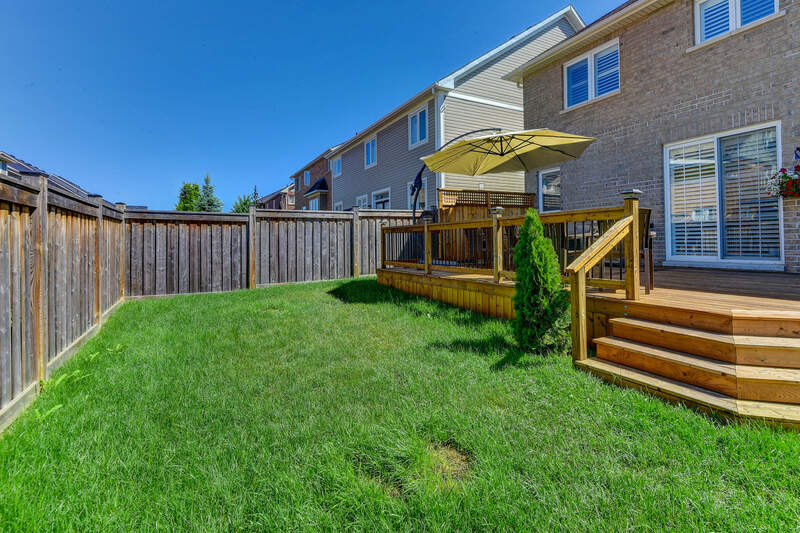 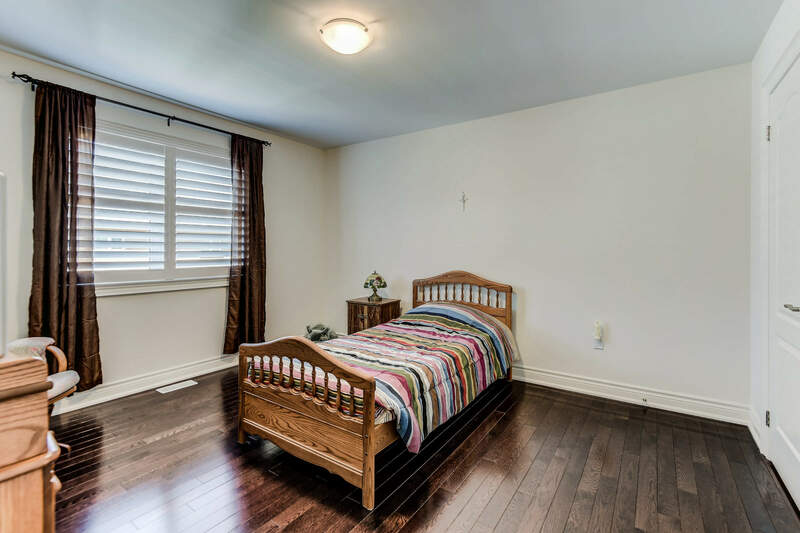 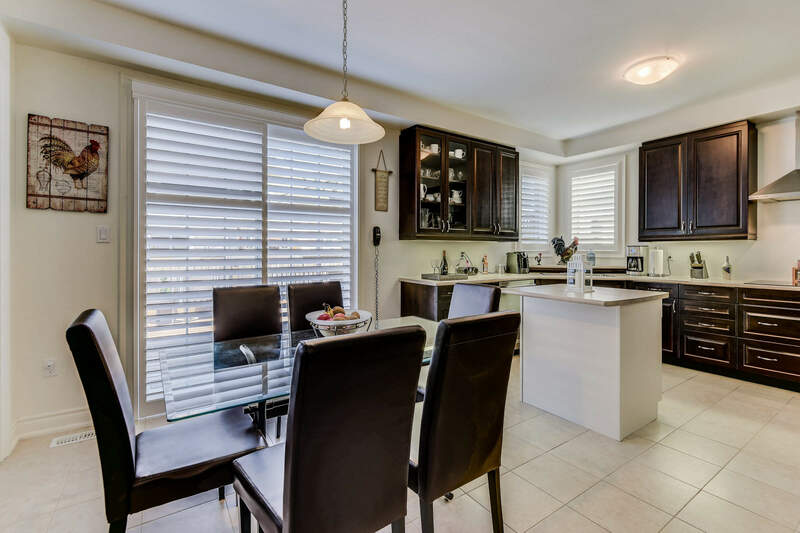 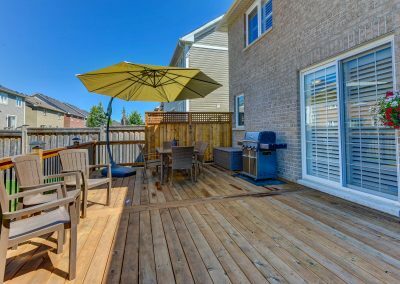 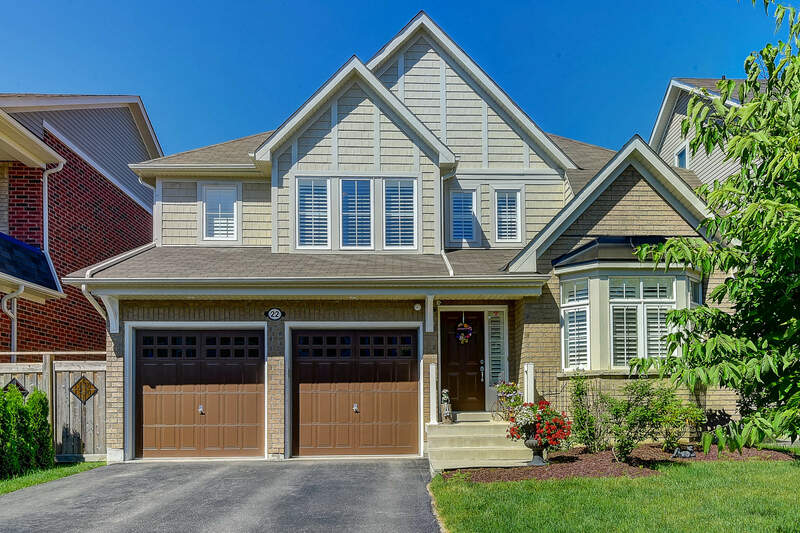 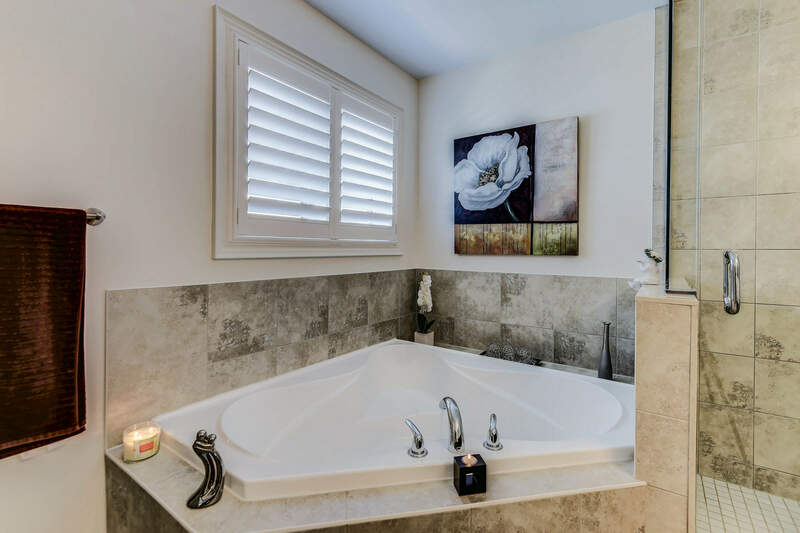 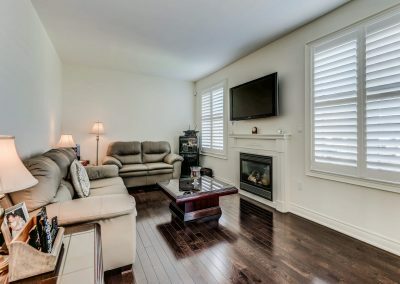 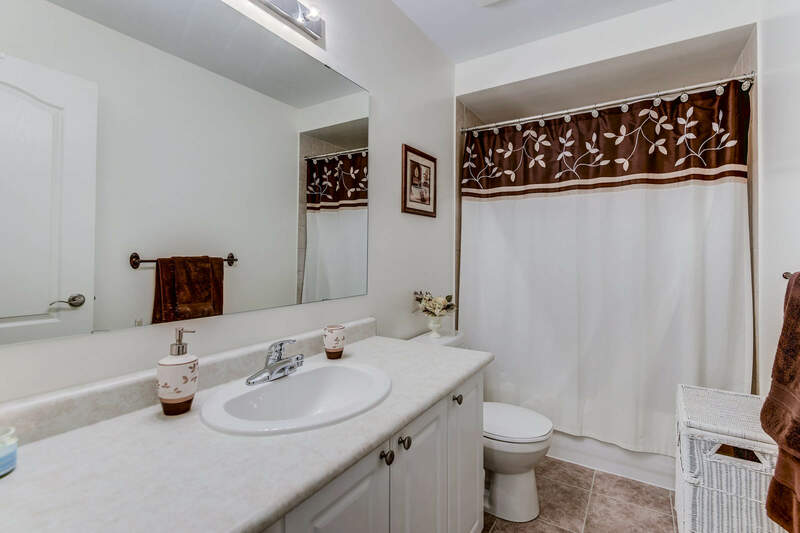 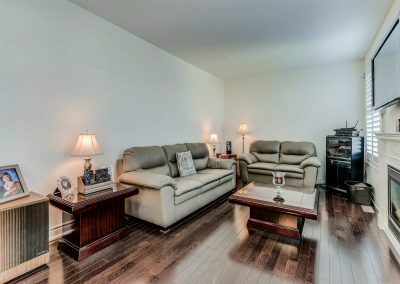 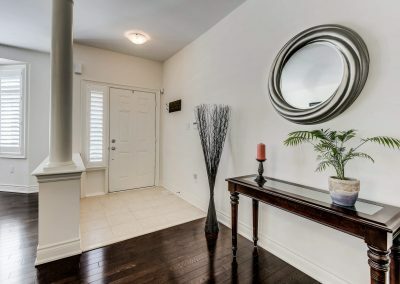 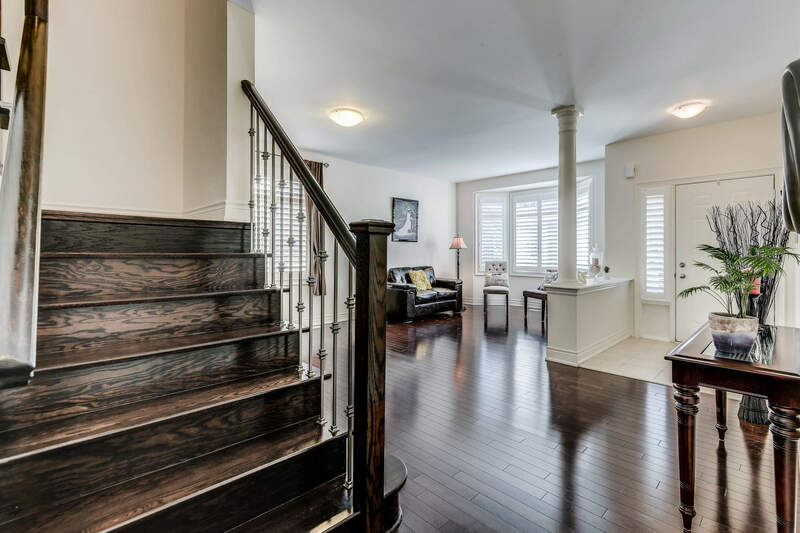 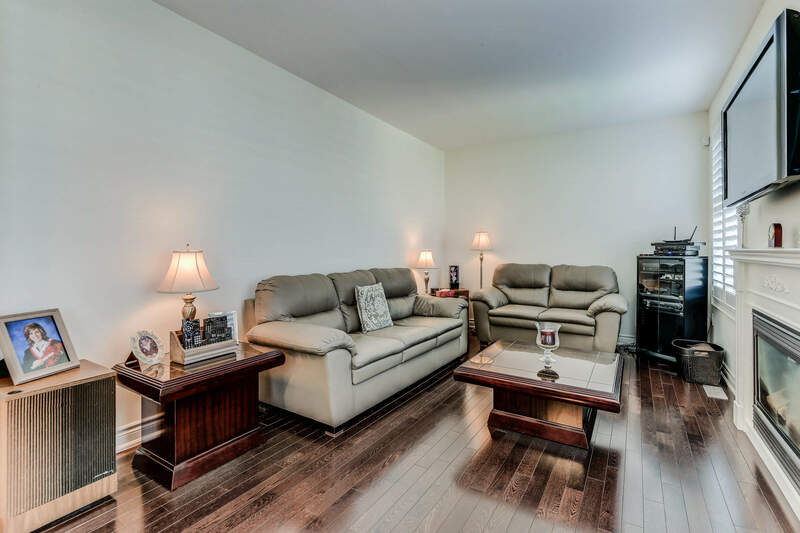 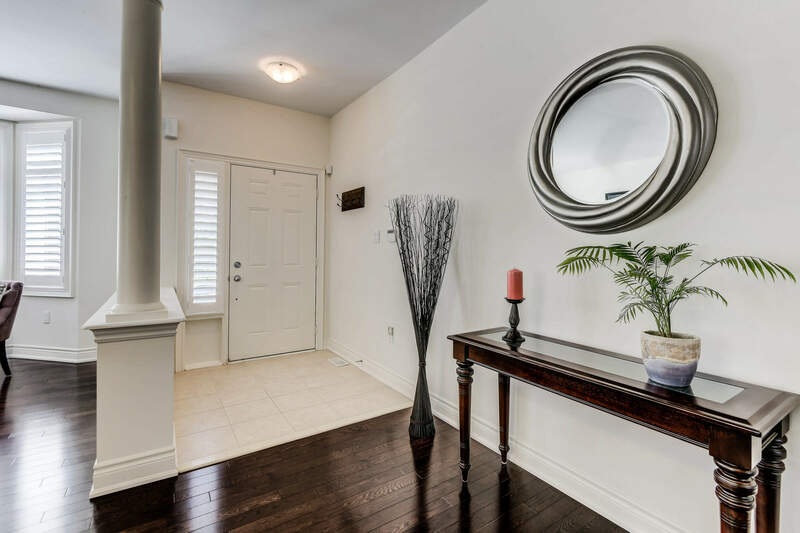 This fantastic home is located in the Columbus Road West and Montgomery Avenue area of Brooklin in North Whitby, close to parks, schools, and Highways 407 and 412.